Mit den öffentlichen Verkehrmitteln recht umständlich zu erreichen. Von der City aus ca. 18$ mit dem Taxi. 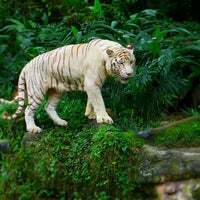 Amazing zoo enclosure with large variety of animals from all parts of the world spread across a vast area that makes it feel like you are exploring the actual natural habitat. The best zoo I've ever seen. There are wide variety of animals on earth. I love Polar Bears, Giant Turtles, Orang Utan and many other lovely animals. :) The price is quite expensive though. 28$. Doğu Asya’nın en büyük hayvanat bahçesi.Tüm gün ve gece burada geçirilebilir.Gece safarisi ve Forest Lumina gece turuna katılabilirsiniz. Çocuklar ve büyükler için mükemmel bir deneyim. The shows are sequential. So plan your routes and you will be watching shows of different animals in a stretch. Not to be missed - feeding time of Polar Bears! Perfect for family + educating kids. Take note of the animal show timings so that you do not miss them. Highly recommend buying tickets online to skip the queue and bring your own food and drinks. Second best zoo in the world. The 1st? Doesn't exist yet! 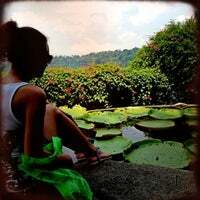 I will design it:) thanks to its climate, the surrounding and the flora is at its best. The only Night Time Experience is in this zoo. Come early and check the website (or the map, when you're there) for the feeding times so you can interact with the animals. Also, there are direct SAEX buses to/from the city at $5 a pop. Book tickets online to save 30%. Bring the mosquito repellant and if it gets too hot, make your way to Frozen Tundra, the Polar Bear section to cool off and see the Polar Bear. In order to experience till the fullest. 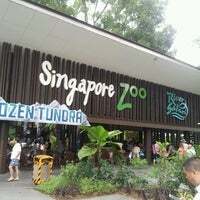 You should combined your visit of Singapore Zoo and River Safari. Learn about the conservation and appreciate the nature. 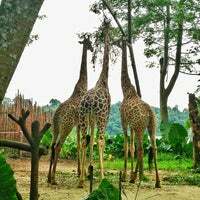 Large zoo with a chance to feed animals check the time first , you need minimum 3 hours to see the zoo only ; there’s river safari too! One of the best zoos in the world. Get an Uber from the city and come in early in the morning to see the feeding and practising of elephants for the show. 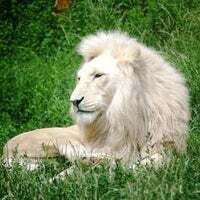 It is excellent Zoo with lot of happy animals in it! 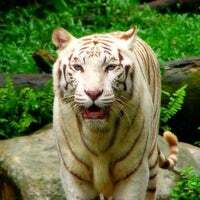 I can recommend the vast selection of monkeys (especially the Orangutans) and of course the white tiger! The best zoo in the world? Could be 😀. Not too big, entertaining, animals are well kept and given freedom to roam. Water park in Kids Zone is a hit! 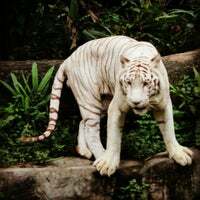 No white tiger on display on Mon/Wed/Fri. The rest of the zoo is beautifully kept and animals are in great condition! One of the best zoo's I've been in! Definitely come early (like 8am) and on a weekday outside of school holidays. 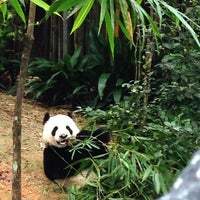 Visit the River Safari first and you may just be alone with the Pandas feeding like I was! Amazing zoo - definitely worth the trip! Not your ordinary zoo. Make sure to check out the orangutans! There's a lot of animal feeding opportunities as well! 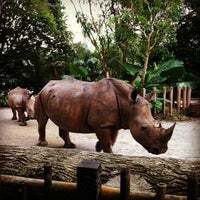 This attraction is a world-class Singapore treasure. Kids will love the Kidzranger Tour and Elephant shows. Also do the Jungle Breakfast with Wildlife, where you could dine with orangutans! 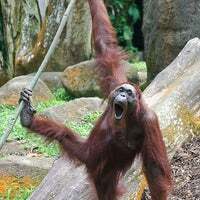 Experience the wild—including the largest collection of orangutans in the world — at the Singapore Zoo. You can walk the grounds day or night, but we suggest opting for the night safari tram ride. Everything is good, breakfast with the orangutans is a must. Take your time to walk around and enjoy. Taxi to and from town is reasonably priced. This is easily the best zoo I've ever visited - so much space for the animals, the space is verdant and there are so many animals! Great day out. 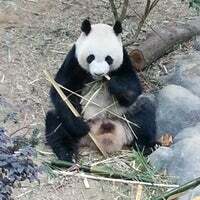 ++ Some animals are really close to visitors, no big fences, fixed feeding time, free show with some animals. -- I thought it would be bigger. 2-3 hours enogh to see everything in zoo by walk. Quite a few free range animals enjoying their natural habitat. Check the timetable in advance if you want to be on time for the shows. The zoo is not that big->no need for a tram unless it's very hot. 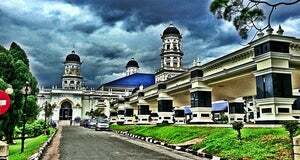 If you are coming with young kids, Visit all the attractions and shows and leave Kidz world till the end. Your kids will enjoy cooling off at the water play. Мероприятие на весь день. Зоопарк и речное сафари заняло у нас 6 часов бодрой прогулки с остановками для фото и без обеда. Совершенно волшебное место для взрослых и детей. Приезжайте к открытию. Don't miss breakfast with the orang-utans! We never actually eat the buffet breakfast but love getting photos with the orang-utans. Best zoo in the world! Find the live show. It was educational with entertainment experiences. I recommended the visiting. Nice zoo with big enclosures for the animals! Check the tree kangaroo at Australian part and water tank of polar bear! Wow! Fragile Forest is the best! Funny lemurs jumping around you (you can even touch them!) bats hanging at an arm's length, birds flying over your head, lovely shy mouse deers and many others. Fantastic zoo with great variety. Most of the animals aren't behind cages or glass and you really feel a connection to them. Very beautiful zoo! 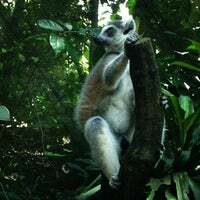 There are no cages, a lot of plants.You can touch some animals - they aren't wild!Lemurs are the best! 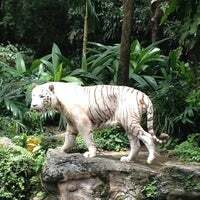 Singapore Zoo's world famous open concept offers the opportunity to experience and be inspired by the wonders of nature. "Woooow! Great boat ride and great shelters for all species of fish. Especially loved the manatees! 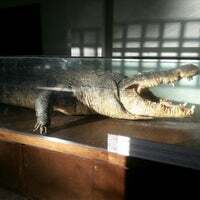 There are 10 of them in amazing water tank. 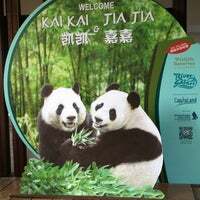 Also loved the panda shelter." "Chicken rice is nice, breakfast with Orangutans is good but a touch expensive - do it once then come later and see the O's in the enclosure." "New fries are decent! I think this is one of the better tasting KFCs"
"Amazing experience.Definetly do the walking trails and feel the animals in their natural habitat. You can have a dinner beforehand, there are lots of options and the ambiance is really nice." "Nice show don't miss it"
"Pony rides and petting zoo here. There's also a small water park that the kids can cool off on on a hot day!"